In the world of Desktop Linux, new distributions pop up faster than mushrooms after the rain, yet most fail to achieve anything more than being a re-branded version of their base distro. VeltOS tries to be different. Although still under heavy development, its first public developer preview came out a little more than a moth ago and is already showing great potential. 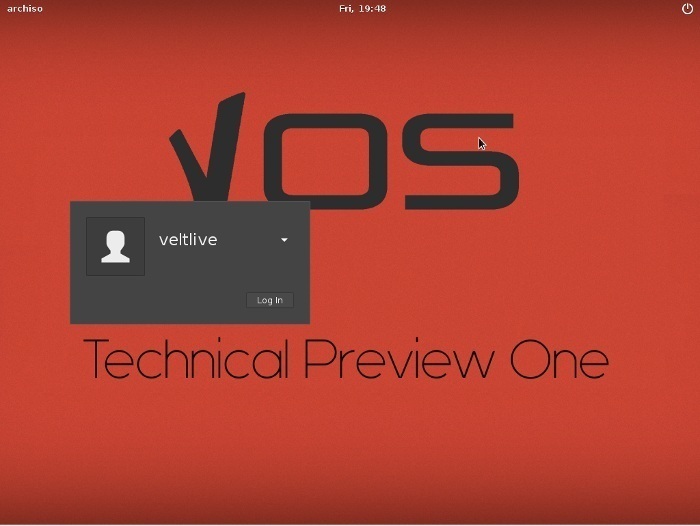 VeltOS (or vos) is based on Arch Linux and comes with a custom environment (Budgie Desktop at the moment), a unique, albeit limited, selection of packages and a core philosophy that sets it apart from most distributions: Everything, every package included in the system, and “every single feature in a product is campaigned for and voted on by the community of users.” Anyone can set up a poll about a feature, and if it gains traction form the community, it will be included in the system. Simple as that. Of course VeltOS is not the first Linux distribution to be based on democratic principals. For example: Debian, the granddaddy of the most widely used distros, is notorious for debating every major question and only moving forward once there is consensus. Still, Velt takes this a step further, allowing literally anyone from the street to have a say and an impact on development. There is a very convenient voting system in place, so users only need to register and vote or campaign away. In fact, Velt Systems (apparently a company behind VeltOS) put a lot of faith in this new approach towards empowering its customers, and they promise more products built on similar principles to come. It would be definitely very interesting to see how it all works out. 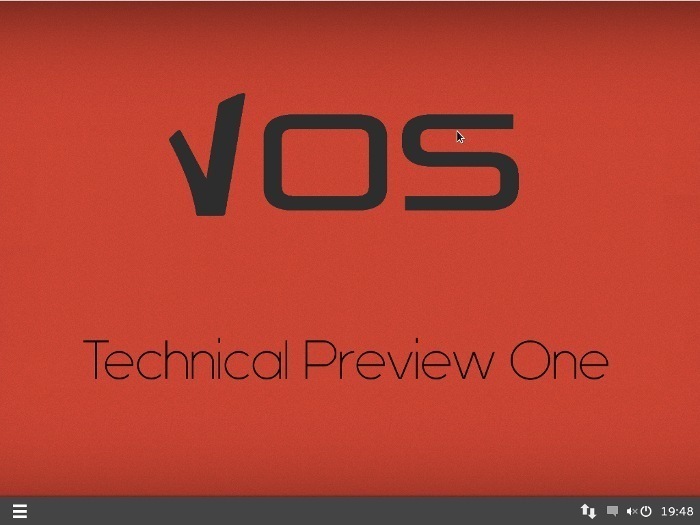 VeltOS is far from ready; it is currently in its very first developer preview stage, literally 0.1.0. The devs promise to put it out in the wild as soon as it reaches 1.0, but there is no way to know when this will happen. Having your users design your system has one sure downside, that is not being able to plan ahead. When you first start the downloaded ISO, a vanilla Arch grub shows up. There is no bootsplash (yet) either, but the similarities end here. The LightDM greeter looks clean and simple. Logging in does not change much with the aesthetics. The desktop is minimalistic. At this point the desktop of choice is still Budgie from the long-awaited Solus OS (or Solus Project as they like to call themselves these days). Solus has been started and discontinued and restarted many times in the past, and Budgie never seems to be quite ready. 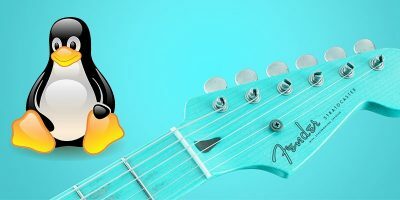 In a recent poll that was approved only two weeks after the release of the developer preview, the VeltOS community has decided to leave Budgie to its fate and come up with its own Dektop Environment. By the looks of things, this new DE will continue where Budgie has left off, and visually it seems to be a straight continuation of what you can see now. The Budgie menu is simple and usable. You have categories on the left and a scrollable list of apps grouped into categories on the right with a search-bar on the top. This is somewhat configurable. The scrollable right side can be turned into a simple list by turning off the category headers, although no alphabetical sorting will happen; the application names will retain their former order. The proposed menu looks like something that has been simplified beyond usefulness. The community will definitely have something to say about that. The bottom panel is very simple as it is. 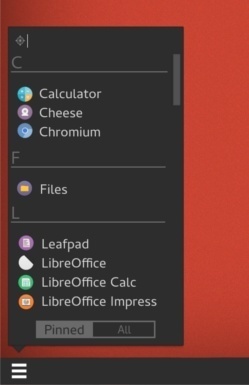 Application launcher can be pinned to the taskbar, and only icons will show, even for running apps. The active window is underlined. On the right side you get a system tray of sorts, a Wicd indicator. 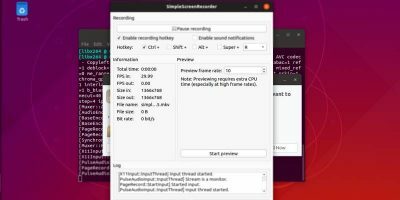 Clicking the sound level also reveals the shortcut to Gnome settings which is quite weird. While the panel looks OK, the right side of it does not looks very well-aligned or designed at all. The proposed replacement seems to change this. 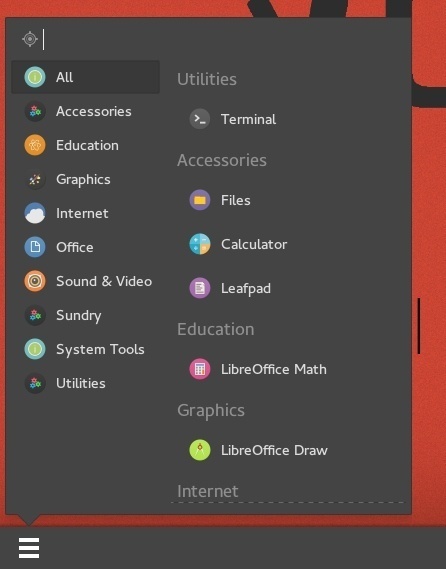 Active applications will be highlighted with orange, and the tray icons look a lot better designed and drawn. The following mockup is displayed on Velt’s website. The Budgie Desktop is based on Gnome 3.16, and VeltOS also takes many of its design choices right from upstream GNOME, be it the dark grey hues or simplistic Gtk3 window decorations. 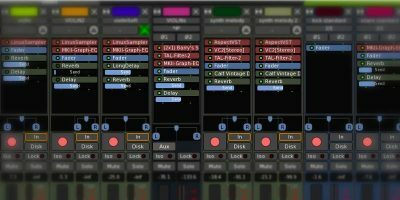 A nice and fresh addition is the full Numix experience. The icons are flat and modern, giving the desktop a well-designed and contemporary feel. 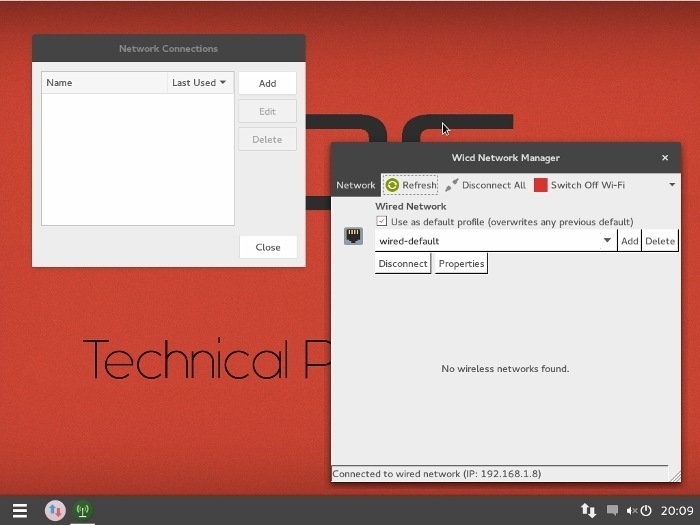 Currently, both the standard Gnome network manager and Wicd seems to be available, although only Wicd is in use. Skinning Wicd was not quite successful; it looks rather rough. 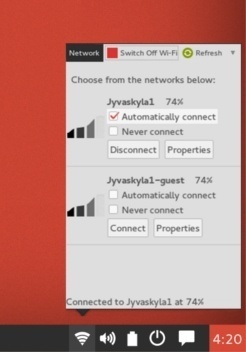 In the mock-ups of the proposed new DE, a much nicer network indicator is shown which looks much more polished and in line with the desktop. You will see a lot of the usual stuff there, but a few of them stand out. 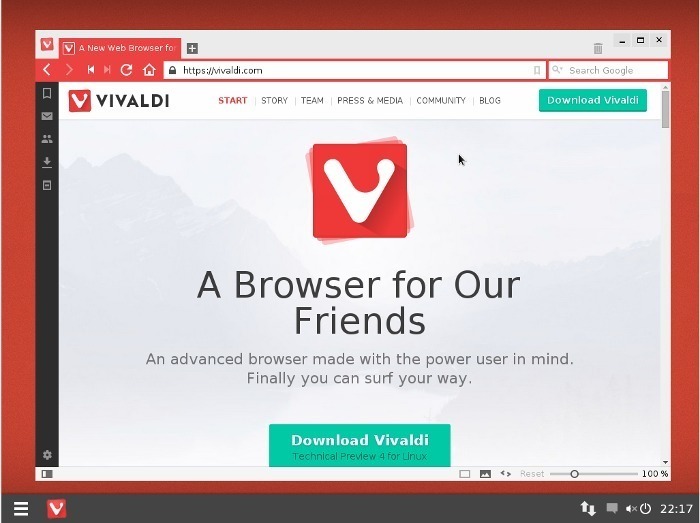 Some Gnome-specific packages have been kept/included, like the calculator (which is a very good application), the standard gnome terminal, and Nautilus, which feels pretty mainstream, yet the default web-browser is Vivaldi, which is rather novel (and which looks curiously like Maxthon browser for Linux, only in red). 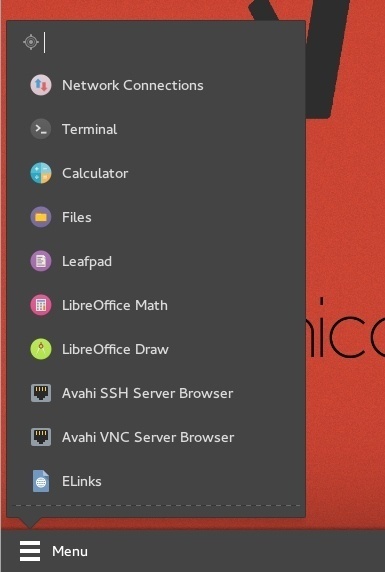 It is good to remember that all of these packages are included based on community recommendations and votes, so watching what makes it into VeltOS also indicates what software is most widely used (at least by Arch and/or Gtk users) and is a good indicator of software like Vivaldi browser gaining some inertia in the community. VeltOS is still in a very early development stage but already looks most promising. Although the idea of being completely community-driven is not entirely new, in such a radical realization it might not have existed before. It will certainly be interesting to see how well VeltOS will fare. 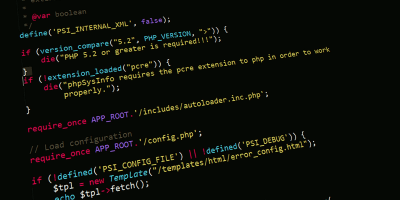 It will be a great indicator of what the community really wants, what they prefer to use and see in a distribution, and with a little luck the news will make its way into to the ivory towers of the developers who bring us mainstream distros and environments. Until then, the best thing to do is participate in the VeltOS community and help form the distribution that truly listens to its users. Too many distros, not enough time. I don’t see any killer feature in this one. I don’t know what itch it wanted to scratch, but for me it is a nonstarter. I’ll stick with my Ubuntus and Mints. Yes, well it caters for a different sort of audience. 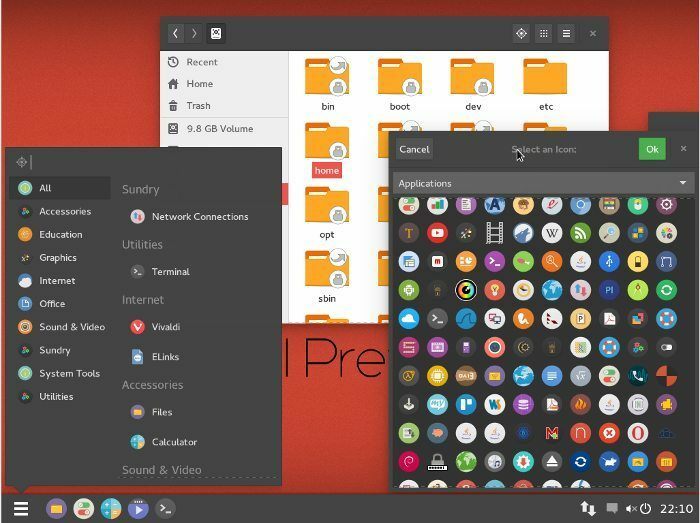 It’s based on Arch Linux, that is fundamentally different from Ubuntu and the like, so being an Ubuntu user, and I meant nothing bad by this, I can see why you don’t find this distro being of interest. 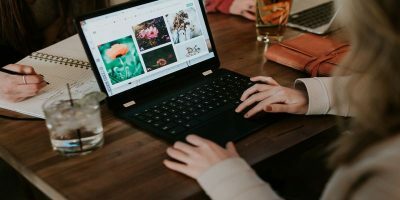 The bottom line is, Velt is trying to make a.lean, bloat free system (look at Ubuntu/Mint with dozens of preinstalled packages in contrast), which stays out of the way (themce the super-simple desktop), yet allows for.productivity (Arch base is a guarantee to have good stuff), which is lean on resources (Arch). users to decide the future (and even the present) of their distro in a direct way. Velt makes it simple to suggest features and vote on suggestions and only inclides stuff that has been agreed by the community. Ubuntu in contrast isn an by a company (Canonical), that will create its product regardless of what its users want to see (indeed it has no way to “poll” its user base). You get a ready product, take it or leave it. 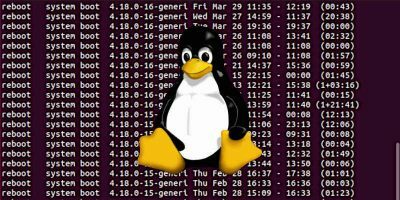 Of course it is still GNU/Linux, you can do wahetever you like (or mostly whatever you can) with it, but really, if one wants to tinker with a system, they would not start with Ubuntu. It’s rather meant to be useable “as is”, offering a one size fits all solution. Much like Windows OS/X, whereas Velt is more like Linux as it once was. Only it’s prettier. Simply having their own “thing” seems to have been what Solus did, doesn’t it? I mean there are many DEs out there, much of which cater for all that Budgie wanted to be, so it was utterly pointless to re-skin Gnome fallback, add a slingshot menu clone and call it a Desktop Environment… I see no difference in Velt’s decision either, unless they actually manages to make something out of it (other than hype, which is where Solus failed). So far they are on the right track. Solus is not. Again: the article was not about Solus, so it needs zero correction. People seem to have lost interest in Solus. Too bad, it started out good. 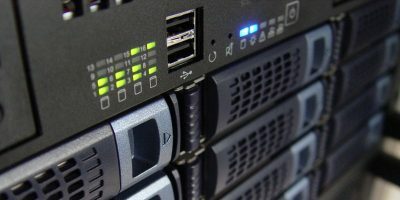 Fortunately Velt still hold some interest.. which is why this article was written about VeltOS, and non is being written about Solus. Sad, but true.